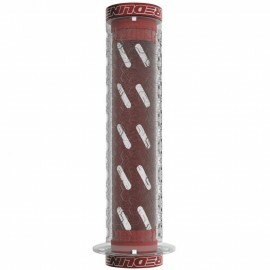 Redline Flight grips feature a clear rubber grip on a black sleeve with cutouts with locking ends. Quick and easy installation and removal but w/ absolutely no slipping! Available in CLEAR grips with BLUE or RED locking collars.